WOW! Aaron, our webdesigner, out did himself this time! I LOVE our new home page! Now showcasing some favorite images...maybe yours is there, or maybe it will be! We will try to be rotating images periodically, but if you haven't noticed, there are a variety of background images being used for the page...just click the refresh button and they will come up. We've also heard your requests for shortcuts to galleries and an easier way to contact us! So, it is there--all on the new page. I am thrilled! Where do you go after this show. Talk about heavy. Needless to say, we kept the kids home for this one. The last three scenes were indescribable. After seeing the performance the first couple of times, I found myself watching the audience's reaction more than the show. The word emotional does not come close. Hands down one of their most powerful performances. The North Shore Music Theater also recognized Tyngsboro High for there spotlight award. Making this feat even more amazing was the fact that this was all pulled of in the midst of a tragic loss to one cast member as his father passed away right before the start of the show run. Amazingly enough he was there in full force and nailed his solo piece receiving a huge round of applause...and rightfully so. If I could speak to him right now I would say to him without any question... "He heard you". Sorry you have not heard from me in a bit....I have been away on a tropical Island. 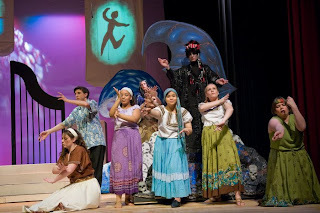 Wait a minute....No I haven't, I just attended the last run of Billerica Memorial High School's "Once Upon this Island"
It is always cool to go back to my old alma-mater. 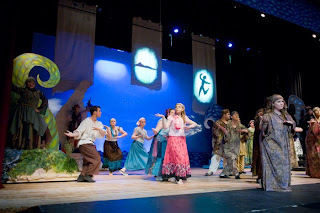 The cast did another great job and the tech crew as well. The lighting and affects were some of the best I have seen there. 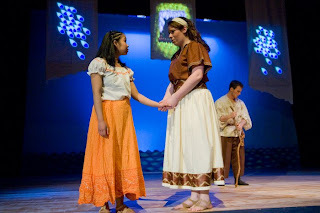 Gail got to photograph "A Mid-Summer Nights Dream" so I missed the cool lighting for that one unfortunately. P.S. Best Wishes to all the Seniors. 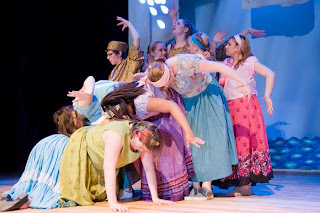 First off, congratulations to Westford Academy Theater Arts for a big victory, winning the State Finals with their "Dancing at Lughnasa" performance. Hats off to Mr. Towers and to all the cast and crew. Even during the dress rehersal I felt like I was time warped back to 1930's Ireland. When I feel it through the lens, that's when I know the actors are "in the zone." Props to the crew! The set and lights were spot on! 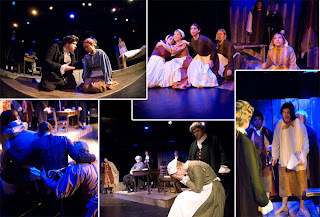 So was the case with the cast at Middlesex Community College with their performance of "The Crucible" this past November. I had seen it performed twice before so I had an idea of what to expect... but man, did they NAIL it. 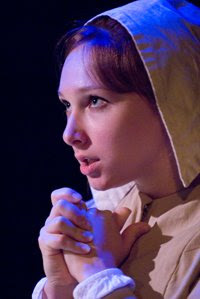 I could barely shoot the last couple of scenes as I was feeling the fear and tension build toward the final scene. Tomorrow night I will be shooting at Tyngsboro. 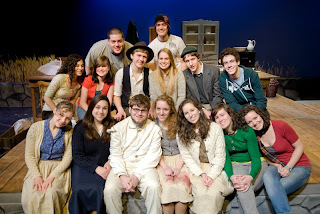 The students there make me feel like family and in some cases they make me feel like a cast member! 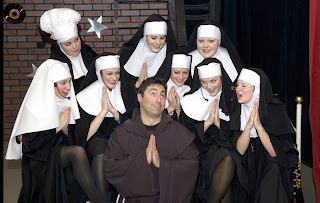 Last November during their perfomance of "Nunsense" I ended up as part of the show! I can't wait to see what they have in store for me tomorrow night.